The holidays are upon us and Olivia Culpo is getting into the spirit of things. On Tuesday(November 13th) she attended the BCBGMaxAzria Friendsgiving celebration with lifestyle influencer and co-founder of clean skincare brand Summer Fridays, Marianna Hewitt and her business partner Lauren Gores, among others in West Hollywood, California. 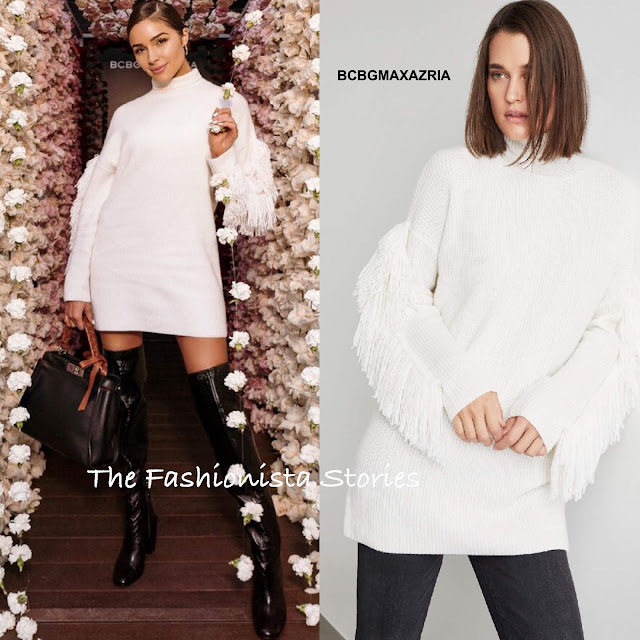 Decked out in BCBGMAXAZRIA of course, she wore a white long sleeve fringe tunic sweater, which she wore as a dress and the 'Liviana' black leather, thigh-high boots. While this cozy turtleneck tunic sweater, would look great with leggings or jeans, I love it so much as a mini dress. A side parted, slick up-do, minimal makeup and black bag finished up her great look. 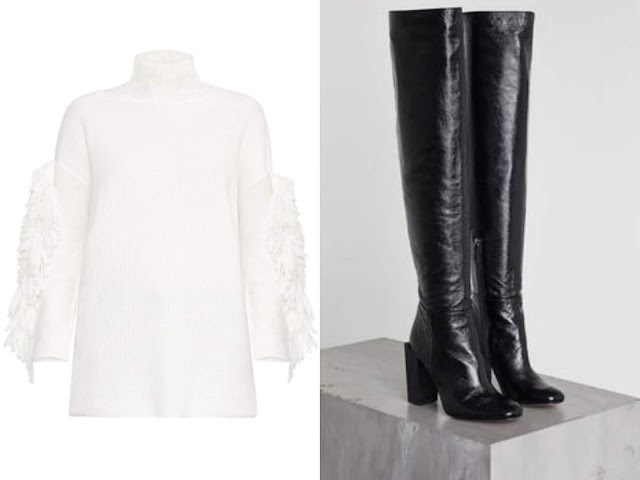 You can get Olivia's BCBGMaxAzria pieces the brand's website, the sweater HERE and the boots HERE.